She and I happen to have babies at similar times ( my son is a week older than her second and my daughter is two days younger than her third). Kim does a lot! And she manages to be an active member of the church as well as work and take care of her great boys. I am very thankful to know Kim and her family and be apart of her life. 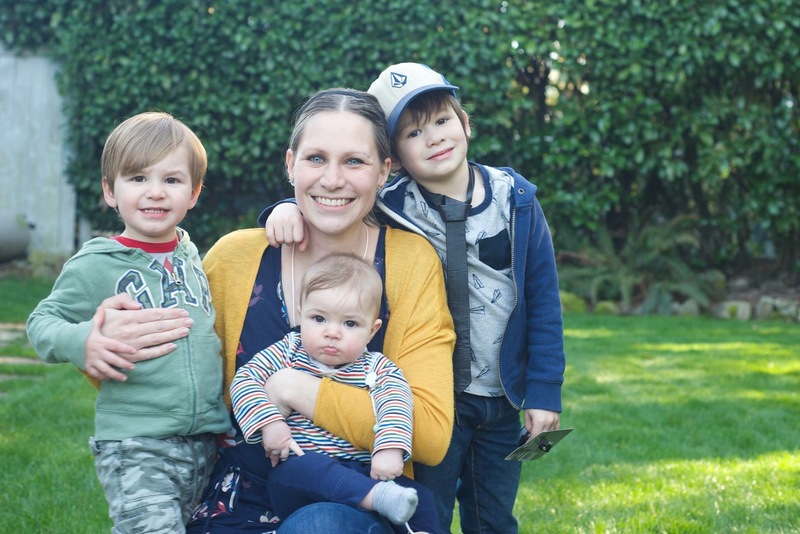 I have had three kids (who are currently 5 years, 2.5 years, and 6 months) in the last 5 years, which means that I have been back and forth between working full time and being on maternity leave for the last 5 years. 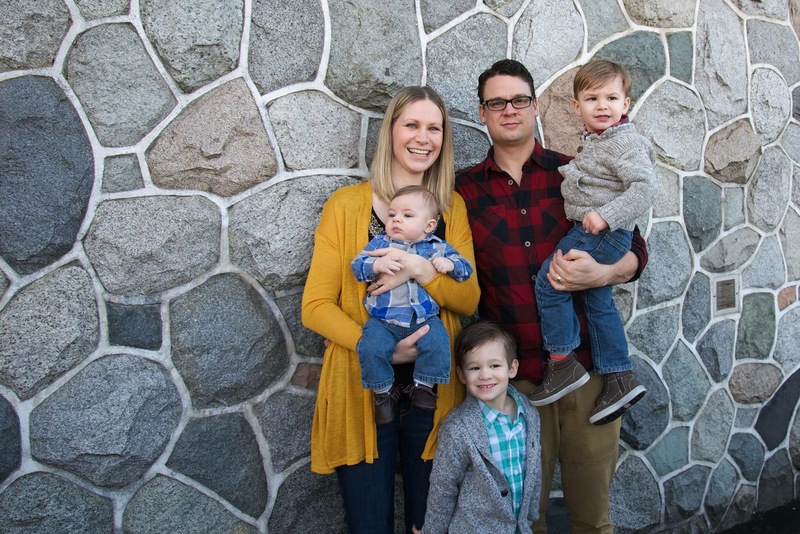 I am currently on maternity leave from my full time job as Marketing Project Manager at Power to Change Ministries (I’ve been at P2C for going on 9 years now!). I’ve dabbled in photography, one of my hobbies, over the last few years and more recently I’ve been using my marketing skills to help my sister out with her new business Oh Sew Baby. 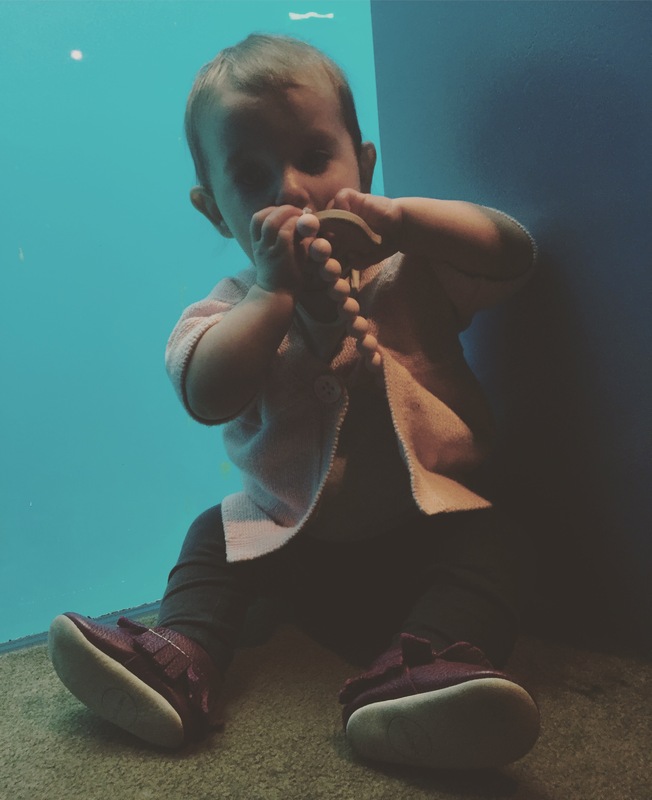 I’ve also just started designing teething necklaces and toys, so we’ll see where that goes! So, I’m answering these questions from my current point of view… I would have very different things to say if I was currently working a traditional 9-5 full-time job! How do you balance kids and work, what is the main challenge? All of my work involves marketing, and right now marketing is happening on social media. This means that my work is always in my pocket. I need to be sure to spend my time with my kids being present with them, and not always checking my phone to see what is happening on Facebook or Instagram. Something is always happening, but I will never have these moments with my kids back again. It may sound like I’ve got this one figured out, but it is a daily struggle! It can be a challenge to carve out time for myself. Most evenings are spent sitting next to my hubby on the couch, half watching a show and catching up on work. I need to manage my work time so that I have enough time for all of the other things that occupy my life – relationships with friends and family and being part of our church community. I have to make sure I don’t take on too many projects at a time so that there remains room in my life for all of the things that make it so wonderful and full. What is something that keeps you motivated? All of these little jobs I’m doing now help me to continue to flex my marketing muscles, keep my mind in the professional sphere, and allow me to talk and interact with adults! I like the tangible results that these jobs have – I feel like I’m accomplishing something for myself. But, above all, I am motivated by my kids… and being able to spend these precious younger years with them as much as I can. I am also hopeful that what I’m doing now may lead to income or opportunities that could allow me to stay home with my kiddos longer! How do you stay organized?! Am I organized?? Sometimes I feel like I don’t stay on top of things very well, like household chores or meal prep. But I guess if my kids and hubby are happy and healthy then something must be working! Also, lists… I make a lot of lists! To-do lists for the various projects I’m working on… essentially I have to project manage my life. It’s a good thing that project management is one of my skills and favourite things to do! Follow Kim on the links at the top!